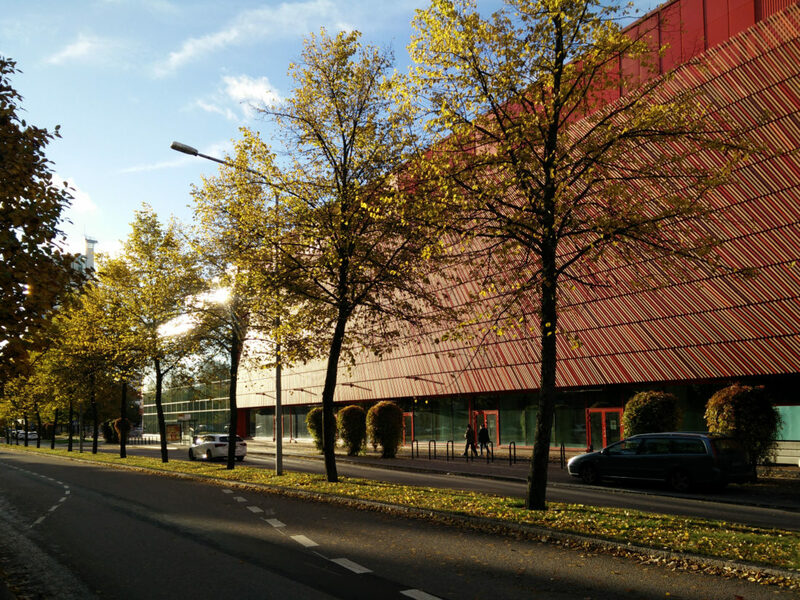 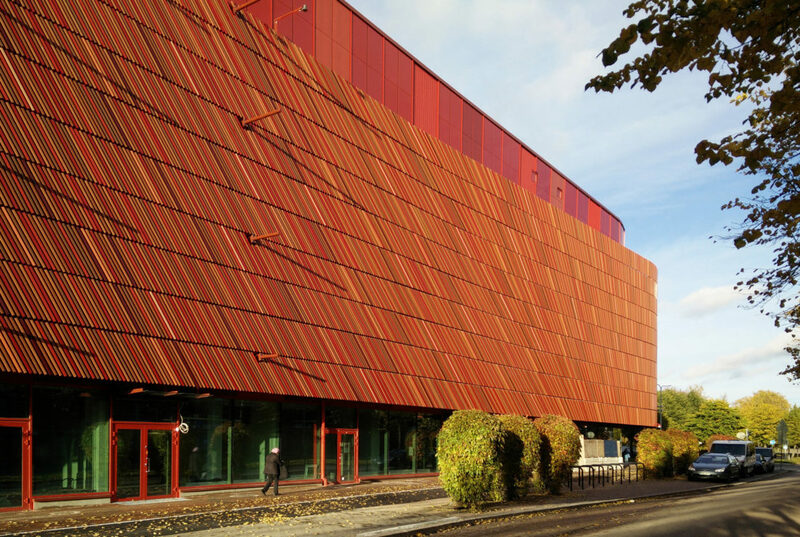 The Easton commercial center, designed by Lahdelma & Mahlamäki Architects, is the biggest commercial center in Finland for Kesko Oy. 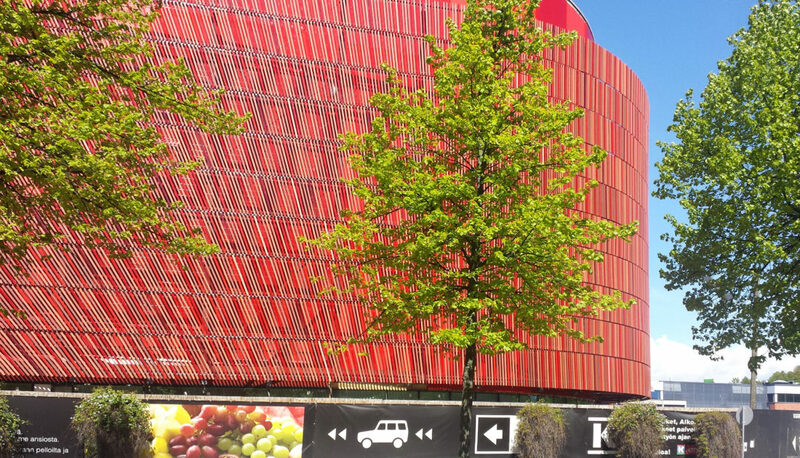 The construction of the first phase of the center started in 2015 and finished in 2017. 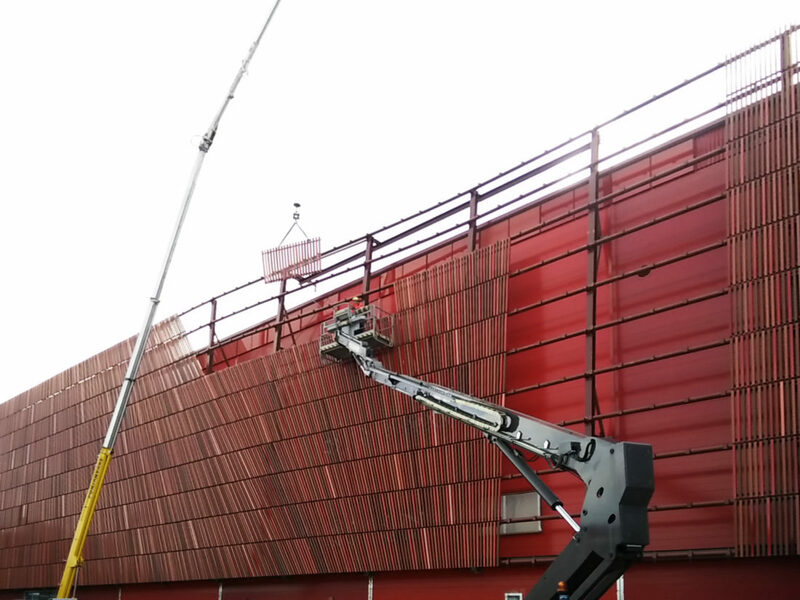 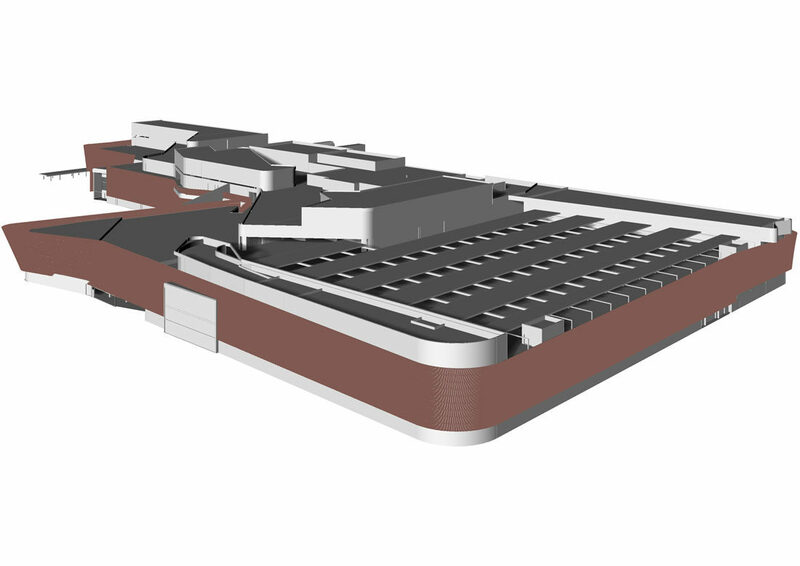 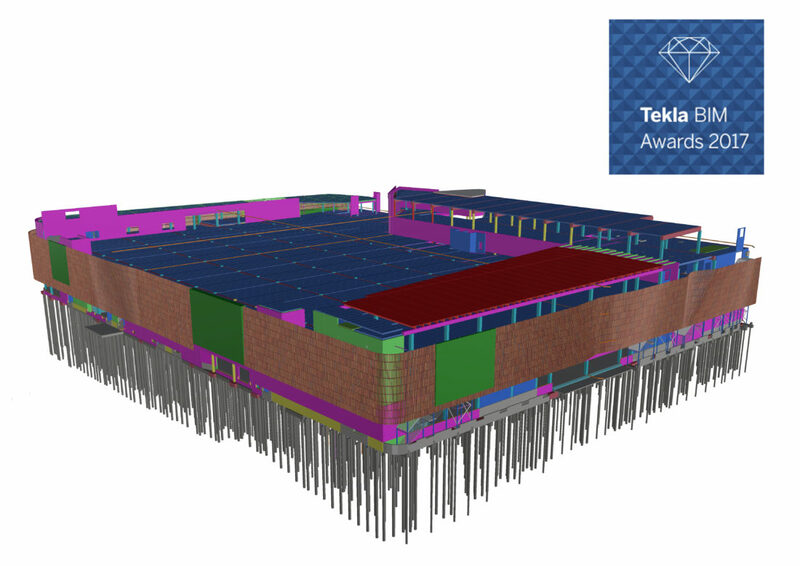 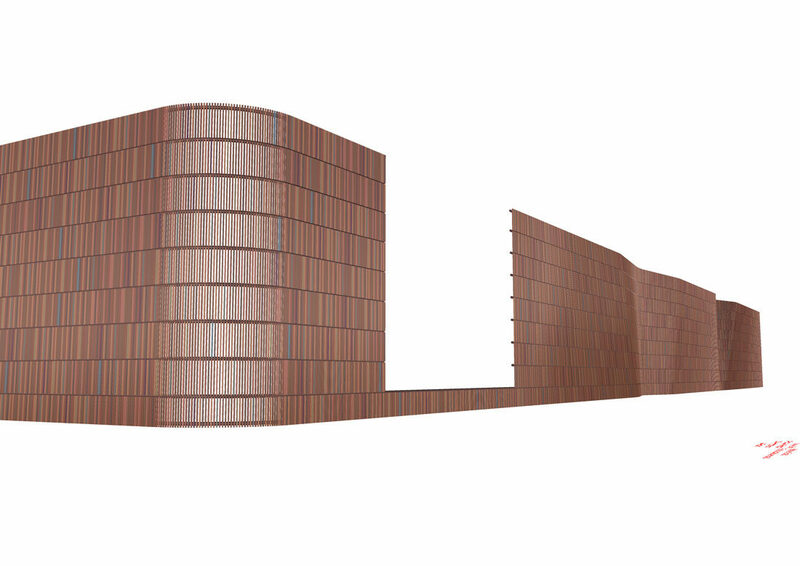 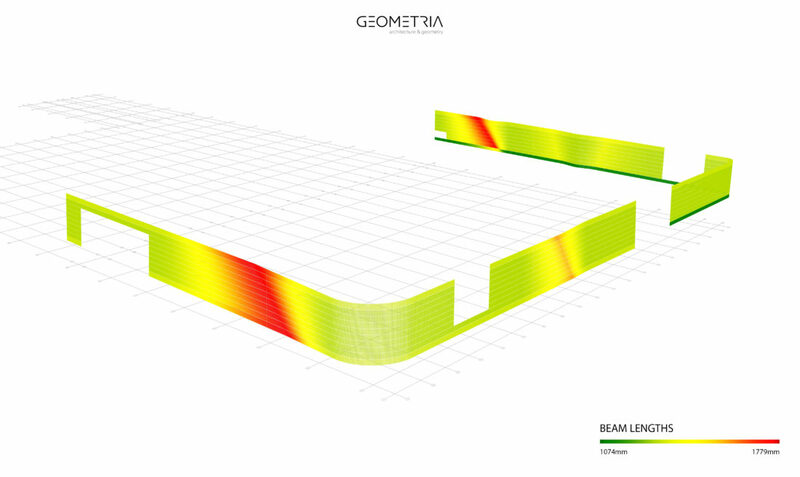 Geometria was commissioned to model, optimize and realize the over kilometer long and over 10.000sqm undulating facade geometry and oversee its production preparation. 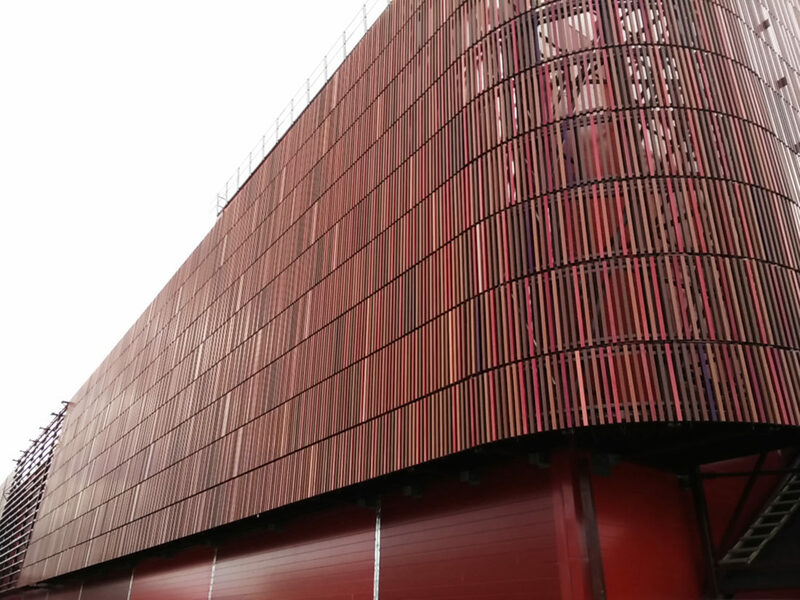 The entire facade consists of more than 100.000 individual and varying length ceramic beams, connected to a steel support structure. 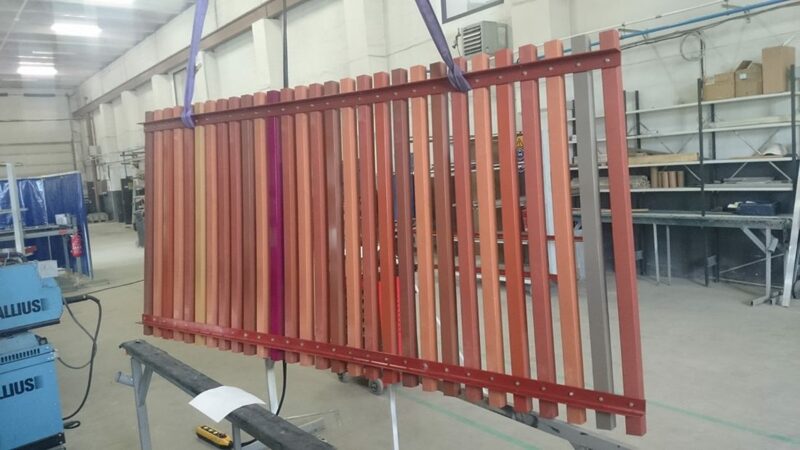 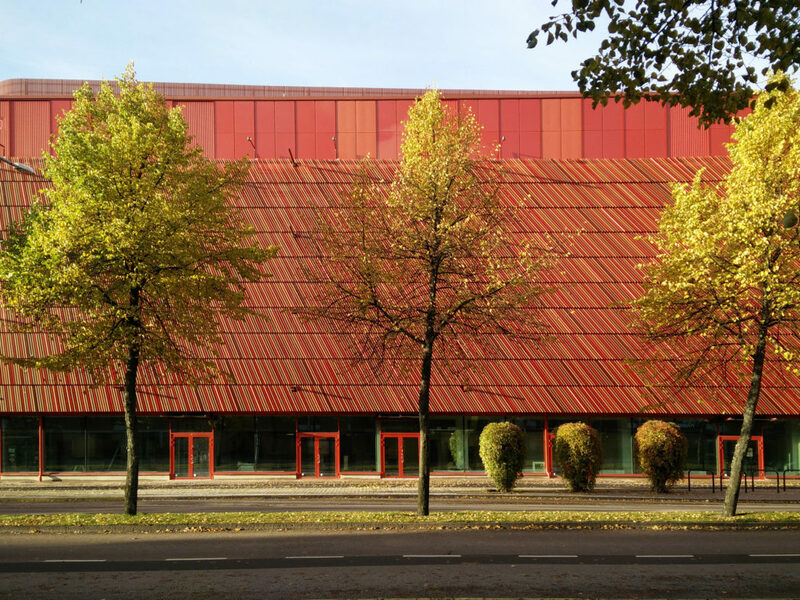 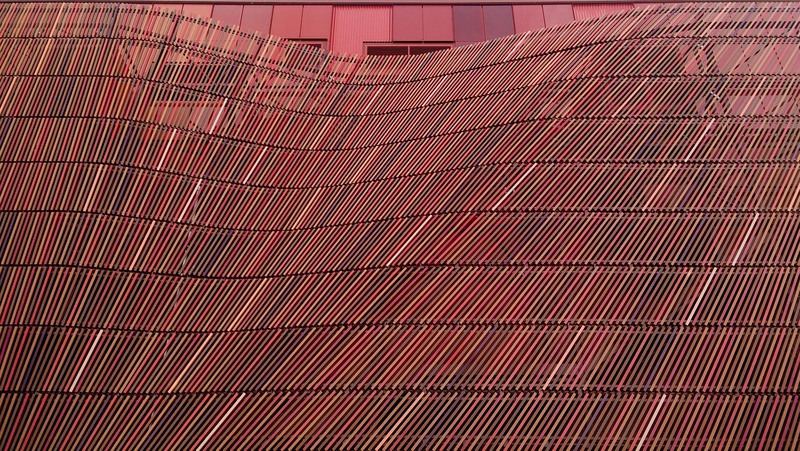 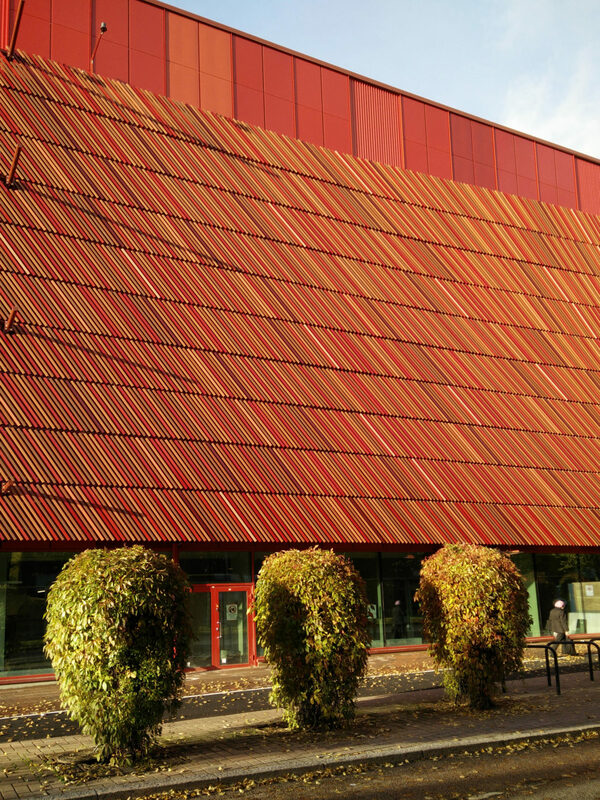 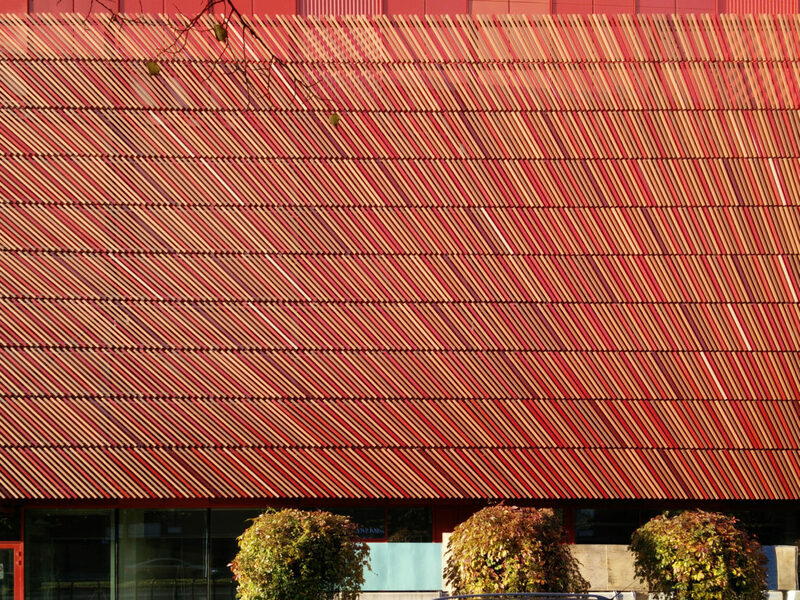 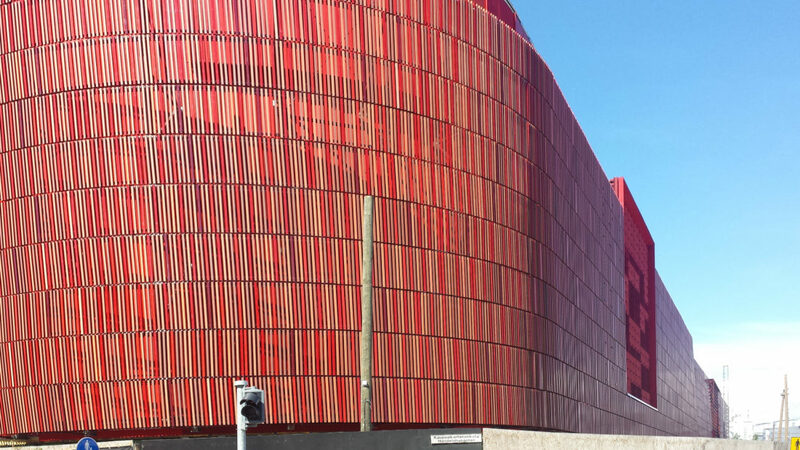 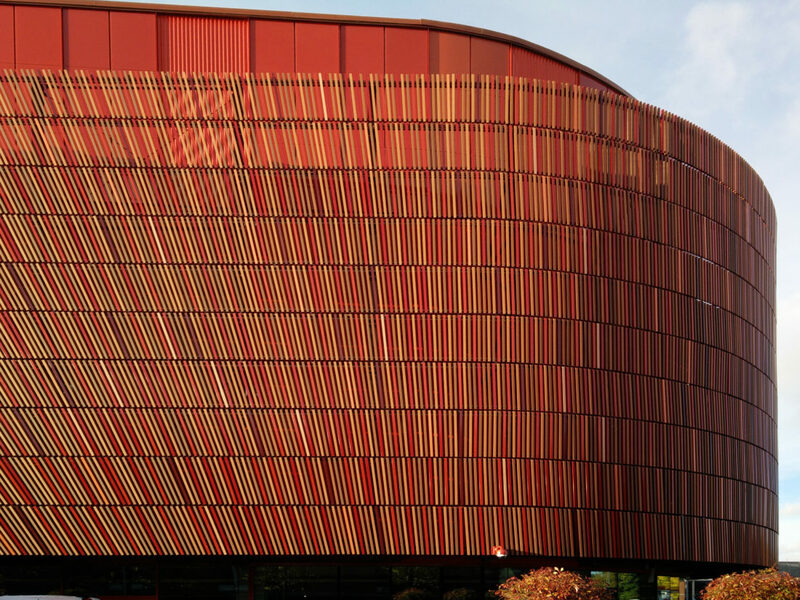 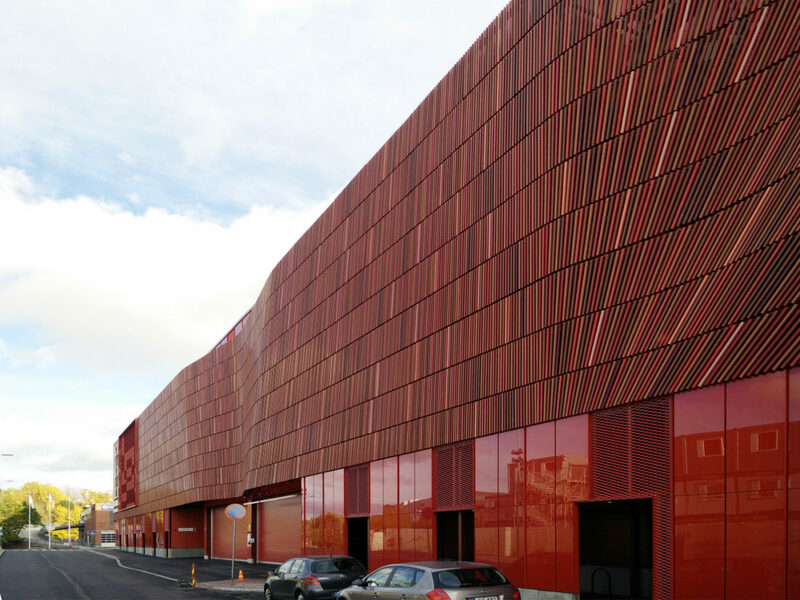 The architect provided a 120pcs color and material palette that Geometria implemented throughout the facade. 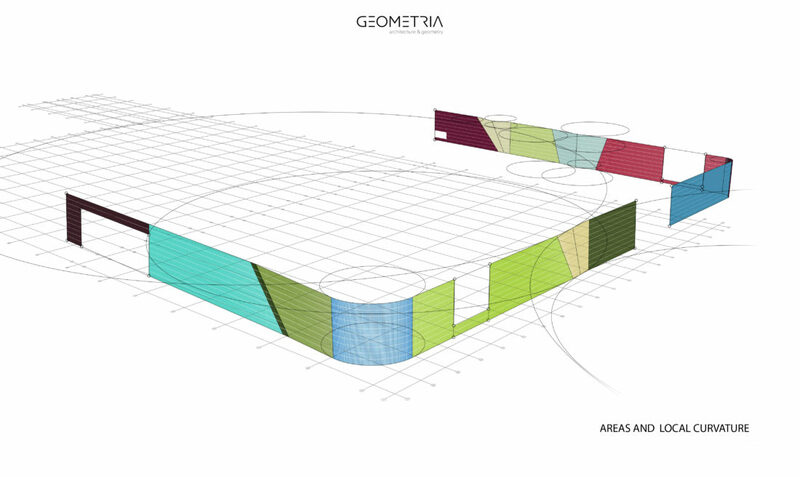 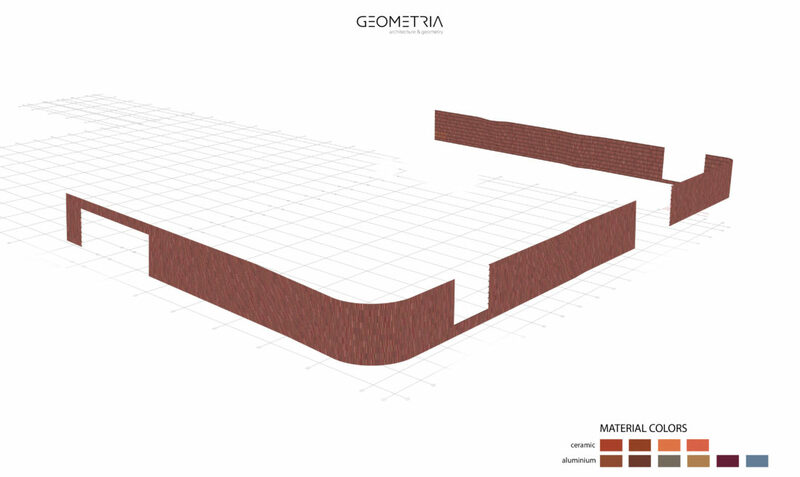 Geometria created a simple, yet clever custom algorithm for the color and material distribution, which stayed true to the architect’s palette, but still generated non-repetitive distribution.